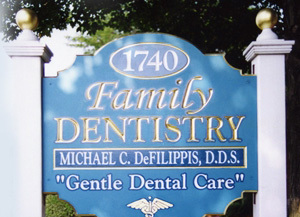 East Meadow dentist Michael C. DeFilippis, D.D.S has been delivering the very best family dental care to the people of East Meadow, Garden City, Bellmore, Plainview, Merrick and surrounding areas since 1987. Our office prides itself on its warm and friendly, professional staff. For your convenience, we offer evening and weekend hours. Because we care, our professional staff treats emergencies promptly and with the utmost efficiency. Please visit our Procedures page for a comprehensive list of our services. Personalized, gentle dental care is a foundation of our practice - we truly believe it is part of the reason that our patients continue to come back. When you visit our office you will experience all that modern dentistry has to offer, including a comprehensive array of general, restorative and cosmetic dental services to meet the needs of the whole family. Our goal is to assist each patient in achieving and maintaining long term dental health and a beautiful smile. We work with many insurance plans and financing may be arranged through Care Credit. For our Military patients, our East Meadow family dentist participates in the Tri-Care dental program. New patients are always welcome. For further information or to schedule an appointment please call our office at (516) 794-8081 and visit our Patient Information center to learn about appointments & payment options as well as find answers to frequently asked questions, download patient forms & more. Whether you are in need of comprehensive dental care for the Bellmore/Merrick, Uniondale, Levittown, or East Meadow areas, contact our team today to schedule your exam and consultation. 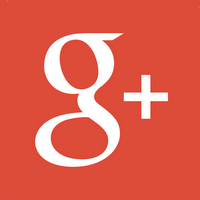 Keep up with our practice on Google+ and Yelp! Dr. DeFilippis and his staff are all 5 stars. they make going to the dentist so easy. Explanning what needs to be done, how it will be completed and what to might happen. A great place! They really care about you!